The plenary speaker for the 2019 Society of Ohio Archivists Annual Meeting is Kathleen D. Roe, recently retired from the New York State Archives as Director of Archives and Records Management. For more information about the conference, please visit the Annual Conference page on the Society of Ohio Archivists website (www.ohioarchivists.org). Preconference Workshops – A morning and an afternoon workshop will be held at the Kent State University Library with presenters Drs. Karen F. Gracy & Heather Soyka. Thursday Evening Mixer: Join us from 6:00 p.m. to 8:00 p.m. at the Cummings Center for the History of Psychology at The University of Akron for an evening mixer with your colleagues. Registration for the Mixer is $25. Early Bird Registration Pricing ends April 30, 2019. Beginning May 1, $5 will be added to the cost of each registration level. Registration for the Thursday Evening Mixer CLOSES April 30, 2019. Registration Payment Policy: Full payment of the conference registration fee must be made at the time of registration. Please note the difference in registration costs for SOA members, non-members, and students based on registration period (early bird, by registration cut-off, and on-site). Payment can be made online through the Ohio History Store, or via mailed check. Refund/Cancellation Policy: Cancellations for a full refund must be made before 5 p.m. Friday, May 10, 2019. For cancellations made prior to this date, your registration fee will be refunded via the method of payment (e.g. credit card to credit card transaction, etc. ), minus minimum processing costs if applicable. Please submit cancellation requests to ohioarchivists@ohiohistory.org. Cancellation requests must include the registrant’s name, email address, membership status, method of payment, and the total amount paid. Please allow 4-6 weeks for your refund to be processed. No refunds can be given for cancellations made after 5 p.m Friday, May 10, 2019. 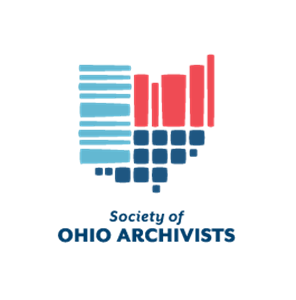 The Society of Ohio Archivists is an active organization with a vibrant membership. The SOA serves to promote the collection, preservation, and availability of manuscript and archival resources in the state, and to promote cooperation with professionals in related fields. In addition, the association brings to public attention the importance of archival resources to historians, students and genealogists. As an organization, we provide educational opportunities through our many workshops and the annual meeting and conference. We promote archival awareness through such activities as Archives Week and participation in History Day. The Society of Ohio Archivists was the first formally organized state archival organization in the country.